The campaign lasts 40 to 100 Hours apparently. Hello Games’ No Man’s Sky is on the cover of Game Informer’s January 2015 issue and thanks to Reddit and NeoGAF users, we get to learn some key aspects of the game such as the single-player campaign. Despite the procedurally generated nature of No Man’s Sky and the ability to interact with other players, No Man’s Sky indeed does have a goal. You’ll start on your own personal planet and upgrade your ship by earning currency, mining materials and working your way up. The end-game is to reach the centre of the galaxy but there will be plenty of challenges to overcome in the process including the wildlife and enemy robots. It will apparently take some where between 40 to 100 hours to accomplish this goal but there is much more to the experience including the aforementioned multiplayer. 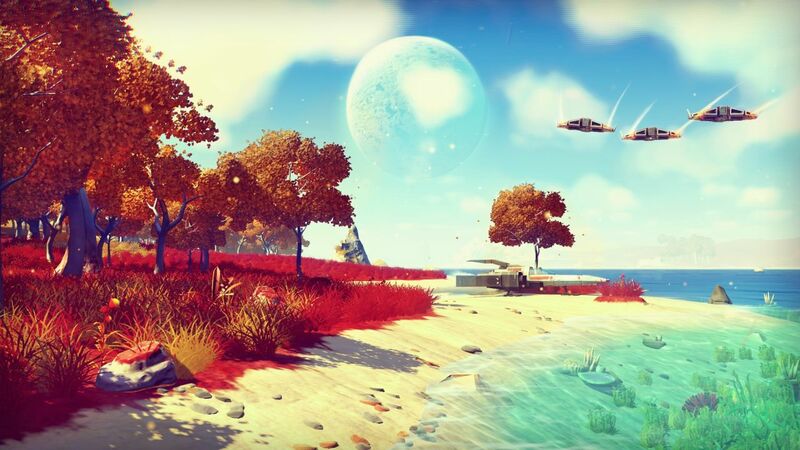 What are your thoughts on No Man’s Sky, especially now that it has some semblance of a direction? Let us know in the comments.